Test post after a long while..
My second kid was born weeks ago. It’s like reset button been pressed. I was sent back again to the life changing experience when my first kid was born. 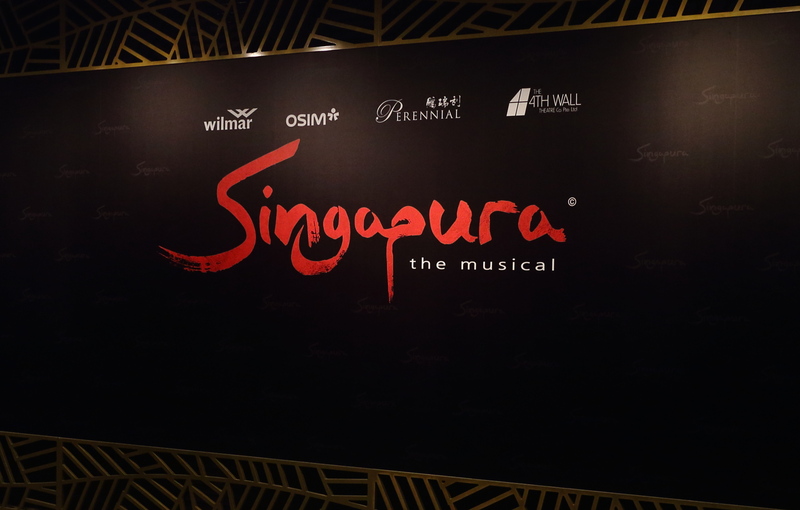 I have not stepped in any performance venue for a month before I was invited to the newly restored Capitol theatre for the musical, Singapura. The music used in musical is mixed from fast paced songs, light hearted tunes and touching melodies. 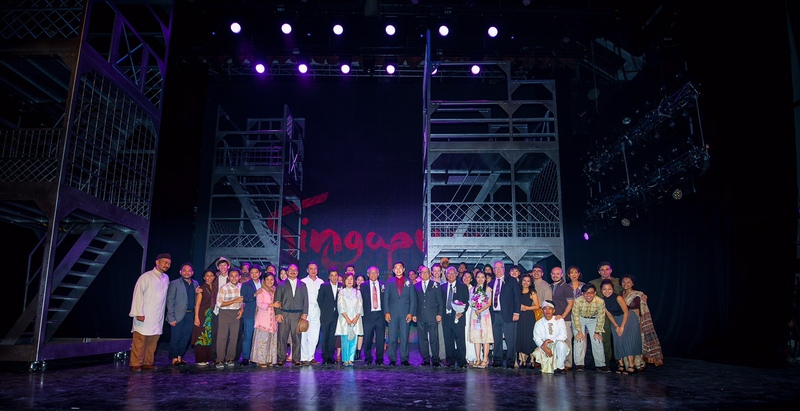 Some of the lyrics were adapted from Singapore historical lines. It may remind you about the secondary school history class. The same text could be seen as dramatic for audiences in other parts of the world. The singing is certainly more than satisfying. The cast should be given credit. It’s not easy to sing while managing themselves in the fast paced acting. The orchestration were kept simple as the pit size allows only a small ensemble. It would be great to hear a more full body orchestration. Still the musicians did a good job for the show. To me, live music is always better than pre-recorded playback in the theatre. I really enjoy those slower paced songs, e.g. “The Home I knew”, “Remember” and “Something About You”. Maybe more are needed to re-calibrate the whole dynamic and to relax the audiences in between the tumultuous scenes. In fact, for any musical, most audiences only remember the slow songs. It might also be helpful to cut back on words and narratives to distant itself from being a bit documentary. On the other hand, allocating more developments on the personal touch around the characters. This would also allow the audiences more time to think and reflect on the story. Through the production you can probably hear and see the influence from Les Miserable and Moulin Rouge. Mind you, the former musical received negative reviews when first premiered in London, “a witless and synthetic entertainment”. The stage setting was constrained by the small space, yet quite effective. The use of the LED projection set the necessary backgrounds. 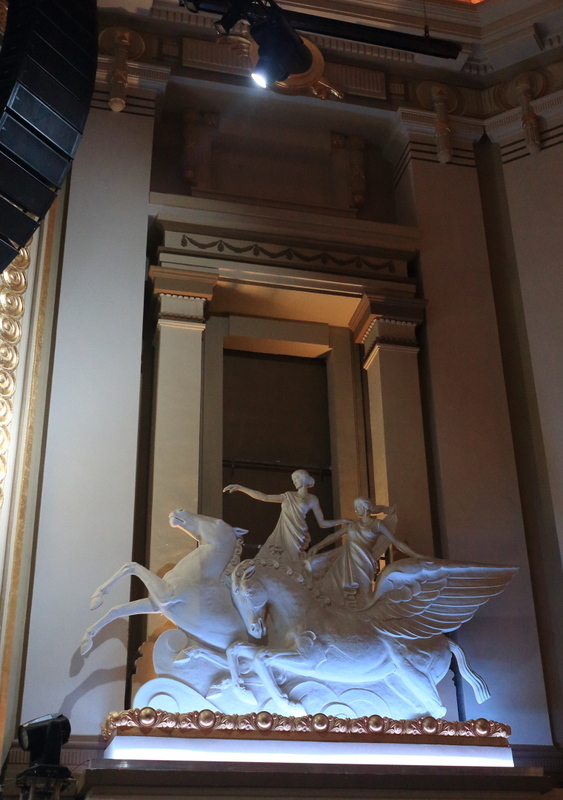 The three storey structure was also put to good use through the show. I like the way it was managed in the scene of Lee May and Flynn’s separation and also the scene of the mother’s death. The best is the lovely authentic Kopitiam setup. This alone means a lot to the people who lived through the era. The lighting was general good, like the starry night scene with Lee May and Flynn. During certain scenes, the lighting might be a bit cold and casted a depression feel. A bit warmer and nostalgic feel might bring the some comfy to the audiences. I’m sure they badly need it after following through the turbulence. The Capitol Theatre was an iconic building. The restored one is no less so. For performers, new venues are always exciting and challenging with all the uncertainties. This is especially true in the first few years after opening. Think of the recently restored Victoria Concert Hall, Esplanade in the early years. Not just in Singapore, the €400 million Philharmonie de Paris is going through the same right now. I spoke with the Sound Designer Ms Emily Adam after the show. The technical glitches and challenges posed by a new theatre made her job tough for every evening even after a few runs. If time allowed, it would be great to fine tune the sound balance with different cast and musicians. As someone working for DTS, it would be wonderful to have surround and ambience to envelop the audiences even better. 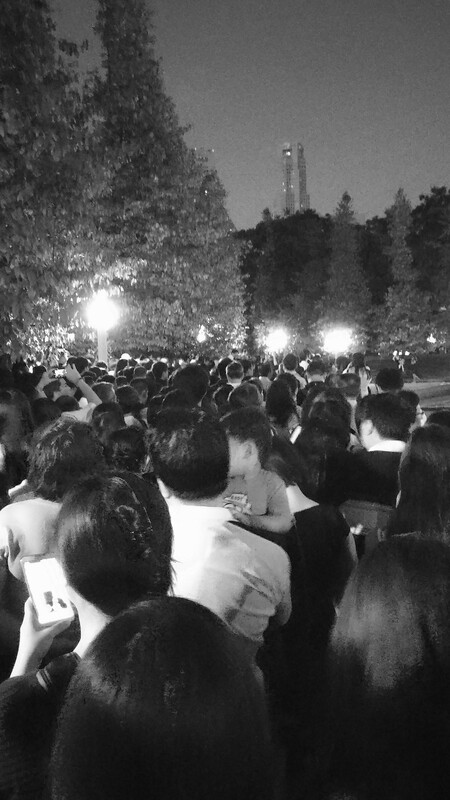 Before coming to the show, I had read many comments on these. Both drawn a lot attentions, which I fully understood. If you had followed plays or operas, this is probably not a problem at all. Everyday there are Shakespeare performed around the world by different cast. This reminds me of the Richard III with Kevin Spacey years ago in esplanade theatre. The American accent did not make it a bad production. Have you ever watched an Italian opera by English or German cast? These things are pretty common around the world in the theatre business. A great work can be performed by cast from countries with different accents or even different native languages. 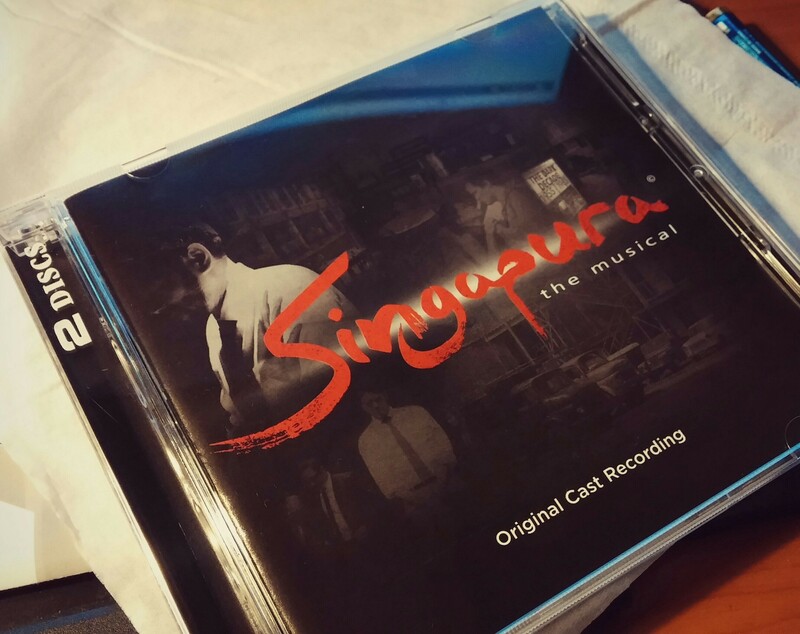 Would I like to see a production of this musical with more Singaporeans in the cast? Is this a deciding factor to determine whether this could be great show? Then why it became so controversial here? 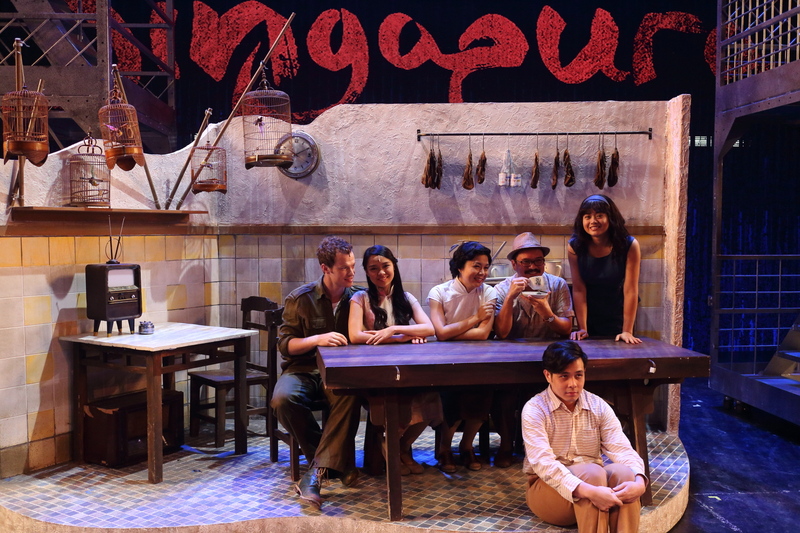 Perhaps, it is the title of the work plus its premiere was in Singapore, where the audiences have the authentic accent and may know the history better than the cast. You may want to read the story behind the musical told by the composer himself. From there you will find why this production was brought by a team from Philippine. The 4th Wall theatre is a new player in the musical scene. 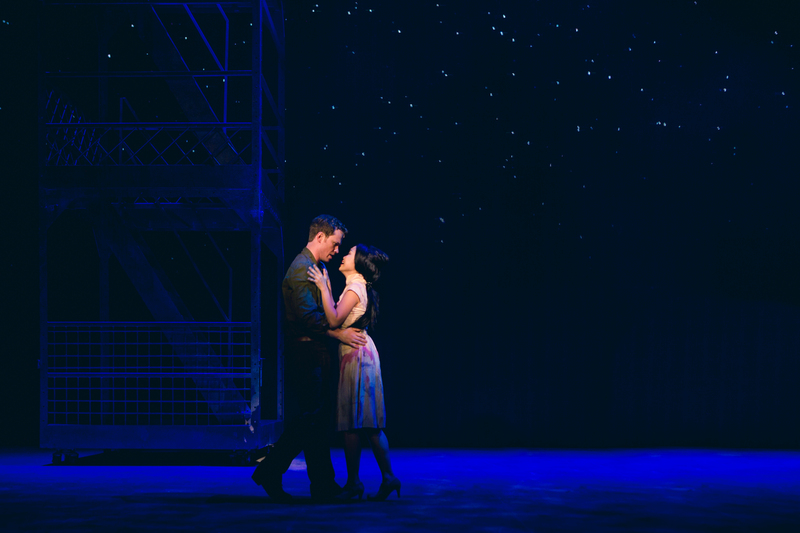 It may not be at the top of game to be compared with Broadway or West End. In fact, the production team is taking a great risk to produce this original musical and bring its world premiere in Singapore. They had to work with limited time, resources and unlimited challenges. Isn’t this just like the building of Singapore? It is not perfect, but the team should be given the due credit for their job. And they are taking steps each time and in fact every evening to improve. It is very different between reading the reviews and being part of a live performance. The difference is like reading a soccer post match analysis and being in the stadium and part of the game. In this very special year, it makes perfect sense to immerse yourself in the history never presented in this way before. Overall I felt my two and half hours well spent. I even bought a copy of the recording as a souvenir. Certainly, I hope to catch a production of this musical again with my daughter and son many years later! Disclaimer: The writer of this article has been in Singapore since 2004. He does not speak with authentic Singlish accent. Singapore is not his hometown. It is his home.